Motorcycle crashes cause thousands of preventable injuries and fatalities every year. Even the most experienced riders are at risk of being severely injured or killed by careless drivers. Here are some guidelines and tips provided by our sponsor Elk & Elk to help you understand what happens after a motorcycle accident. Motorcycle accident cases are different than automobile accidents for several reasons. First, motorcyclists are an easy and unseen target, making them more vulnerable to the dangers of the open road. Often, motorcycle collisions result in serious injuries, such as broken legs, broken arms, severe road rash, hospitalizations, lost wages and even death. First, seek medical attention for anyone that is injured. Then, collect insurance information from all parties involved, as well as the names of any witnesses. You should write down the facts of the accident, including where the accident occurred, weather conditions at the time of the crash, and any other important details. Finally, call our firm or other motorcycle lawyers you know and trust. 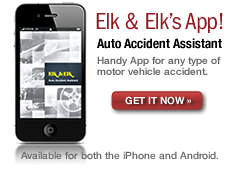 For more information on what to do after an accident, check out our detailed page. Motorcycle accident victims often suffer painful and potentially life-altering injuries. Motorcycle accident injuries can be severe and are often much worse than those suffered by individuals in other types of motor vehicle accidents. In many cases, motorcycle accident victims suffer broken bones, joint and ligament damage or other debilitating injuries that require lifelong care. The investigation is one of the most important tools for proving liability after a motorcycle accident. Injured motorcyclists usually need an experienced motorcycle accident attorney to protect their rights. Insurance companies will work hard to prove the innocence of those they insure, as well as to discredit the claims of the injured. If you were injured in a motorcycle crash, seek legal representation right away. An experienced attorney will investigate the facts of your case, obtain any evidence related to your crash and help you receive the full and fair compensation you deserve. Most bikes are now equipped with custom pipes, paint, graphics, engines, add-ons and in some cases, computer equipment. Therefore, the cost of repairing or replacing damaged or destroyed motorcycles can be expensive. But what about compensating the injured victim for past, present and future medical expenses, lost wages and other losses? Statistics show that about 80 percent of all motorcycle accidents result in injury or death. How does one put a value on human life? Keep in mind, wrongful death claims are subject to statutes of limitations, or time limits for filing a wrongful death lawsuit. If you believe your loved one was killed because of another’s negligence, you need to consult a lawyer immediately to ensure you and your family obtain the compensation you’re entitled to. The majority of motorcycle accidents result from a mistake by another motorist. Most motorcycle accidents can be complicated cases and most victims are unable to navigate through the legal intricacies on their own. Most require help from a qualified, experienced attorney who knows what it takes to obtain maximum compensation for an injured victim. If you or a loved one was hurt in a motorcycle accident because of another motorist’s negligence, you need a motorcycle attorney to protect you from insurance industry tactics. Search online or check your phone book to find a motorcycle attorney near you.